I picked up the gun. Replaced my original magazine, the one with premium defensive ammunition. 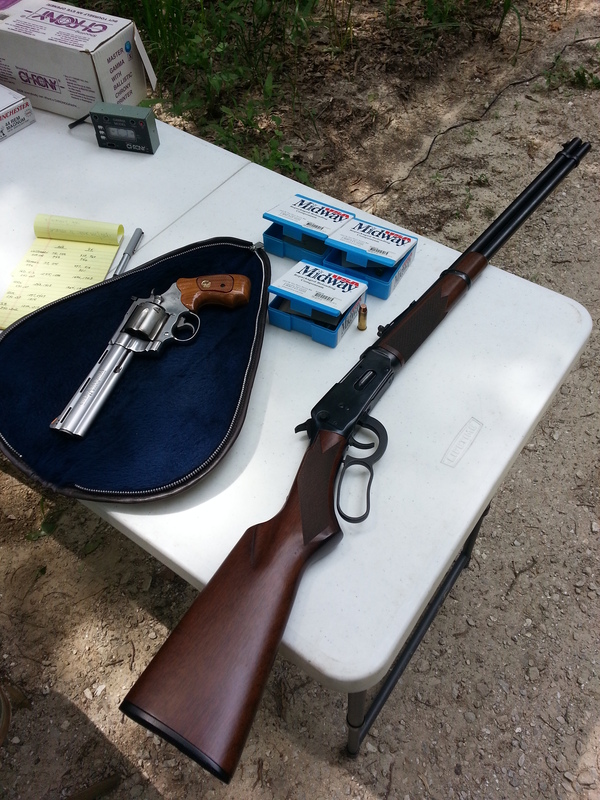 Chambered a round, took aim. Pulled the trigger. I felt a cold chill run up my spine. My face felt a bit clammy. I waited, then cleared the magazine and round from the gun. My vision focused into a tight tunnel on the pistol in my hands, as the full implication of what had just happened settled in: my carry gun didn’t work when I expected it to. Read the whole thing to find out what happened. 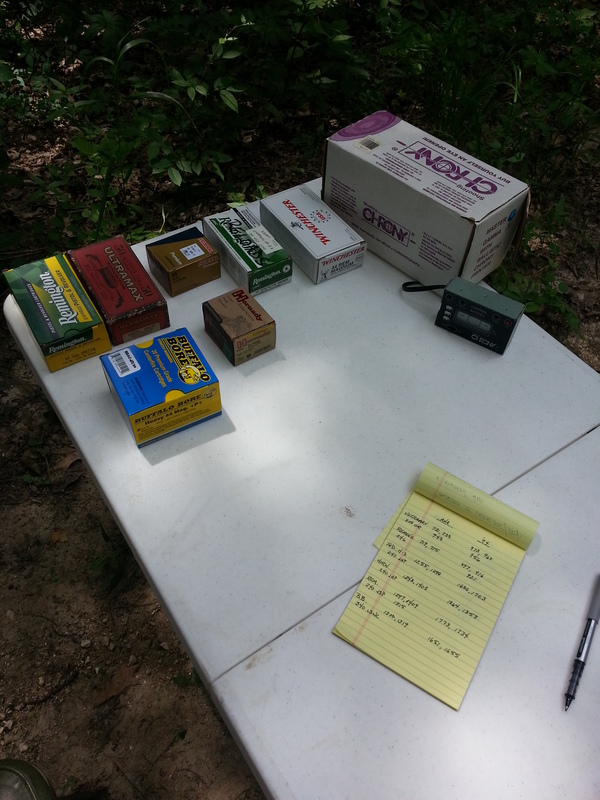 Which caliber for . . .
. . . home defense? OK, this is going to be a bit of a catch-all entry, where I (and I hope Jim K and Steve) will post some little comments and observations about doing the project. A lot of this stuff you would probably find if you poke around deep enough in either the Emails or the flickr images, but it’s nice to get an individual story as well. 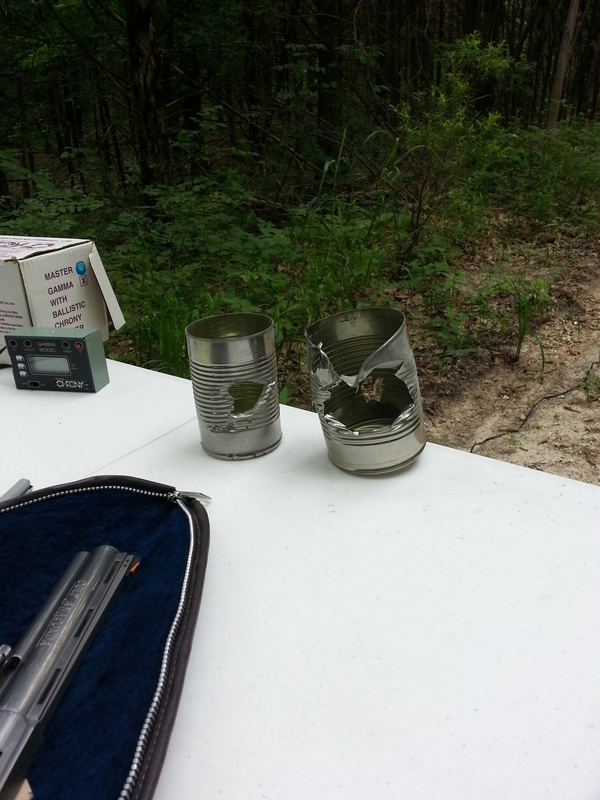 What happened was this: one of us (who shall for now remain nameless, until I can spend more time to write up the saga appropriately) was in the middle of shooting the second most powerful of the calibers we’re testing, and didn’t manage to control the gun completely when he fired the round. And it went right through both chronographs. Perfectly. We use two chronographs, lined up one in front of the other, to be sure we’re getting good data. He hit the first one right dead center, a little high from the middle. Like a perfect shot in a movie, hitting the bad guy right between the eyes. The large bullet punched through the display, destroyed the electronics, and shattered the back of the chrono – then entered the front sensor of the second chrono, exiting out the bottom rear sensor as well. It was spectacular. A perfect shot. I have pix I’ll be posting later. Ah, good times, good times. We put an armour plate (a railway tie plate) in front of the next set of chronographs from then on. Good thing, too, that saved us probably another five or six sets of chronographs. Live and learn. 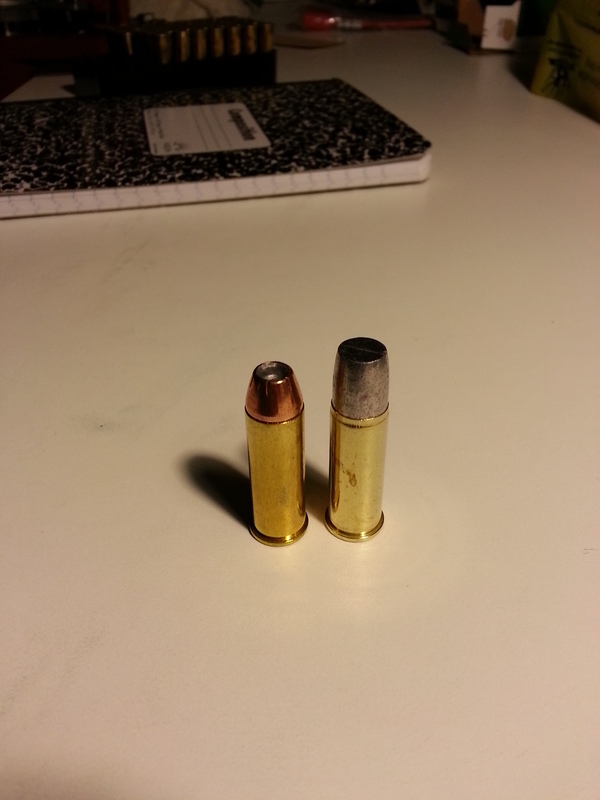 Here is a post pertaining to the testing and results obtained for the .44 Magnum caliber.